For a travel photographer, I’m pretty behind on most things in the tech world. I mean, the fact that I didn’t even own a good smartphone until last year is a bit embarrassing. However, I’m getting caught up on the tech stuff these days, and even though my iPhone 4 is falling apart and I hate it, I need it for things like Instagram. 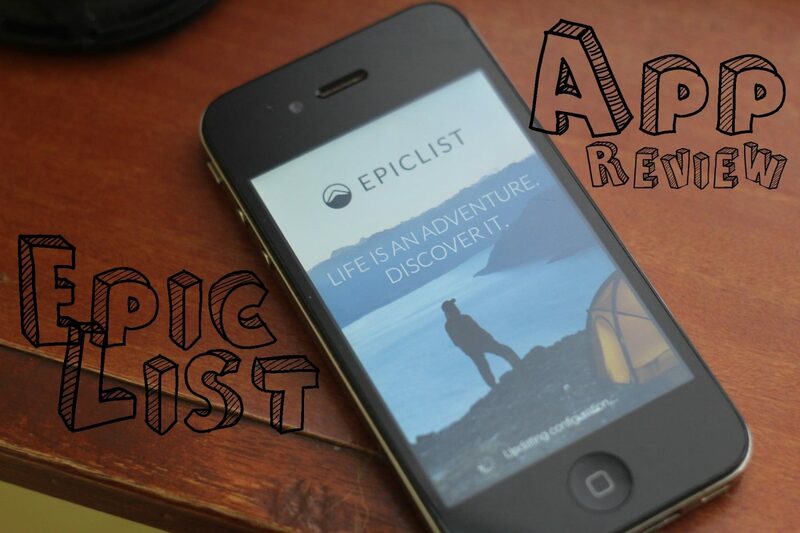 With the growth comes opportunity, and recently I was asked to review an app called Epiclist, which I think is really cool. It has some serious potential to be a popular app for adventure travellers as well as travel photographers. As you can tell by my review, I love the potential for the app. I think that Epiclist is doing some really cool things. They are finding ways to bridge the adventurer to the reader. But I think what they’re missing is that something like this actually appeals to a much wider audience than just adventure travellers. I think they’re limiting themselves in their reach at the moment. And well the app is cool, looks amazing, and is fun to use and browse, I think a web component will take it from niche to mainstream. That being said, the app is still quite new. Though despite being fairly fresh, there are a lot of really cool adventurers featured on Epiclist already; including yours truly. Anyways, I’d highly recommend you add this free app to your phone. To do so, visit their website or check it out in the App Store.